"The chart depicts the " No of Ipad sold after Steve Jobs sold the first apple iphone.in the 3rd quarter of 2010 . Since the first Apple was launched their has been 6 iPad versions, with the latest two models announced in October 2014. 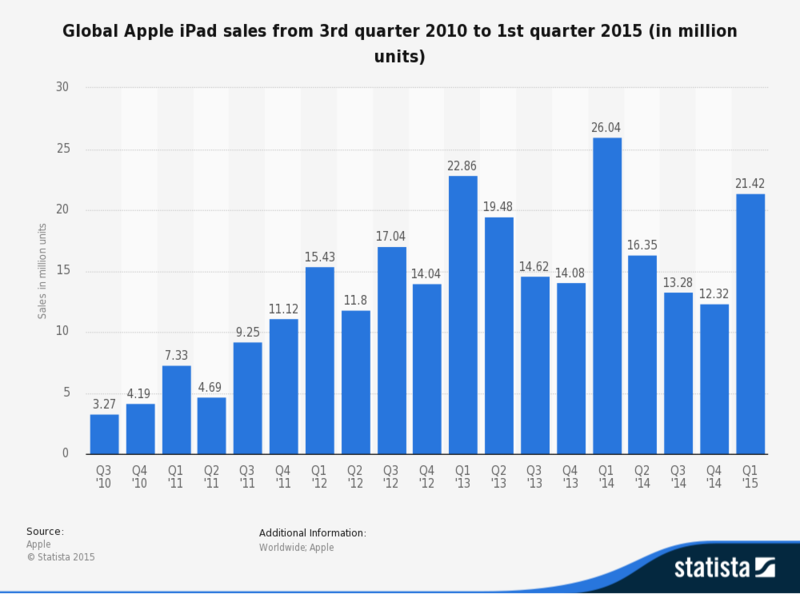 In 2014 Q1 sales of ipad tpeaked at over 26 million units which was 3 times as compared to 2011 the amount of sales than at the beginning of 2011. In 2014 Q1 sales of ipad tpeaked at over 26 million units which was 3 times as compared to 2011 the amount of sales than at the beginning of 2011. .